The light and shadow created by the natural flicker of this decorative light, create a big and beautiful overall ambiance in any room. Sam Johnson, a young designer from the UK, was inspired by the miniature figures and trees used in architectural models, making the size ratio 1:50. He is a great believer in diversifying his approach to each new item, fully understanding that there are always new problems to solve and new techniques to explore, as well as new materials with which to experiment. 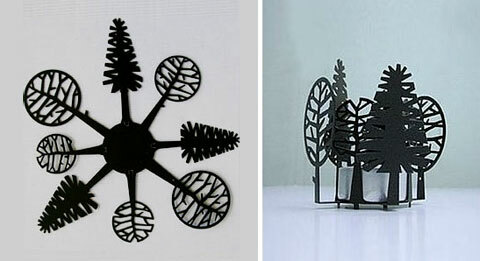 Brass sheeting is chemically etched in the shape of trees, finished in a matt black paint and then bent up to create a cute little nest for any standard tea candle. 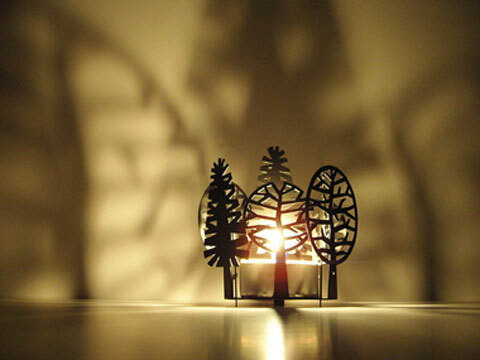 The trees are flat packed and are then folded up to form a small woodland scene into which the small candle is placed. Just drop it right in the center of the trees and see strong shadows appear on the surrounding walls – right in front of your eyes. They are completely movable as they do not depend on any electric supply and create a calming atmosphere wherever they are placed. 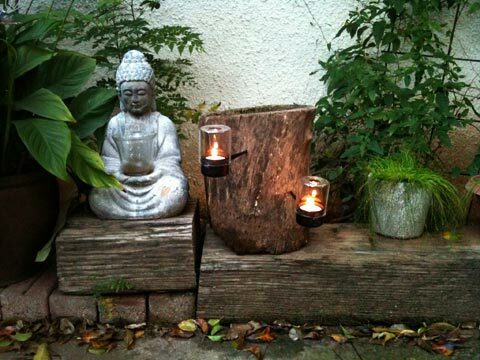 The simple design is extremely effective and uses a very basic, inexpensive light source (a small candle) to illuminate and produce the flickering effect. The Tree Lights are packed absolutely flat and are easy to assemble. They make a marvelous affordable present and could appeal to almost all age groups.